Let’s keep it simple. There are basically two management styles – “bossy” and “buddy”. All managers are drifting between these extremes looking for the best approach in their particular cases. For you to choose the right management style, I’d like to share some insights, expert tips and stories. Hope you’ll find them helpful! But, first, a little disclosure. I’m writing about management styles because our Chanty team is curious about every aspect of team interaction. Understanding it helps us in designing a better communication tool for our customers – a fast, smart and AI-powered Chanty team chat. For now, Chanty is in beta, but you can already give it a spin. Become one of our early adopters – it’s free! Management styles: what’s the gist? Before we get to what’s working in management styles, let’s consider what’s not. 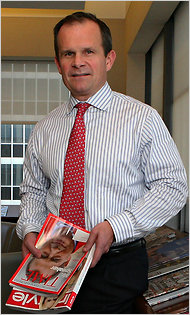 In 2010, TIME Inc., the world’s largest magazine publisher, got a new Chief Executive – Jack Griffin. To put it mildly, his appointment didn’t work out well. 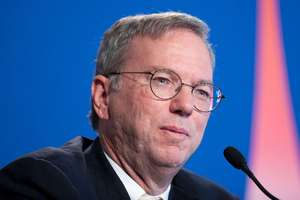 As NY Times reported, employees described Jack’s leadership style as “brusque”. He implemented “swift and sweeping” changes “without communicating his purpose well”, “undermining his team’s confidence in their abilities”. Apparently, he didn’t fit the corporate culture and showed himself as an inflexible leader. 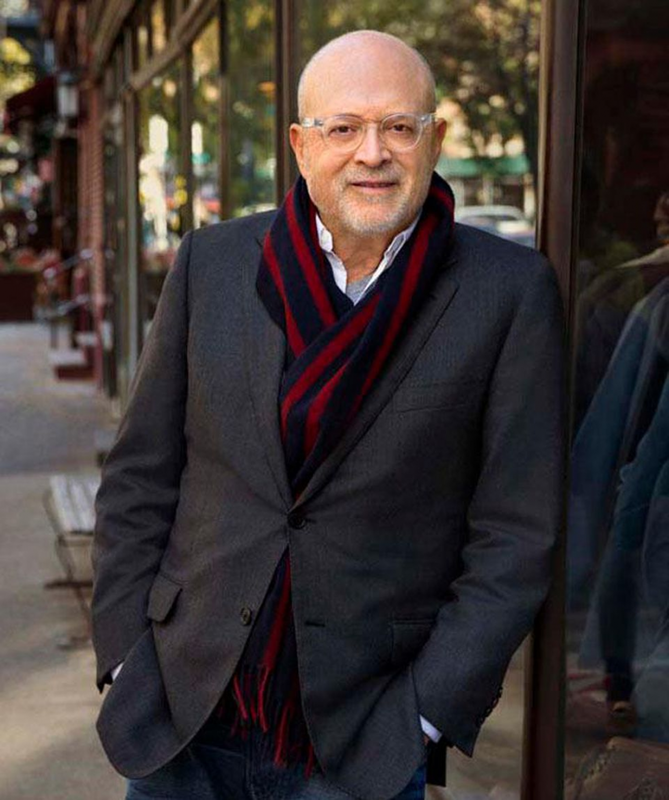 In February 2011, Jack Griffin was forced out of Time Inc. after less than six months in office. Your management style matters. We can hear some leaders say: “I just hire the best people and get out of their way.” Well, sometimes it can work this way, but not always. Jack Griffin from our story was an experienced professional with the proven track record. But, apparently, he didn’t understand his hires and didn’t manage to find the best way to communicate with them, which was crucial. Your management style is not defined by your temperament. Though you can lean towards one of the approaches, each style is actually within your power. Since Jack Griffin from Time INC. had the “brusque” management style, we may assume he is a hot-tempered guy. However, it shouldn’t have been a hindrance to his management. Different tasks, situations and people can require different management styles. There’s no universal approach that suits any case. Experts claim the best strategy is to switch between the management styles depending on the circumstances. Back to our example with Jack Griffin, his approach to management could be exercised successfully in a different context. In the beginning, I mentioned there are basically two management styles – “bossy” and “buddy”. We could also use terms like “dominant” and “prestige”. While “dominant” means you want to be in control of everything, “prestige” is a more “hands-off” approach. So here’s the deal: “prestige” management styles – the ones that give workers more freedom – are becoming more widespread nowadays. The old-school management with carrots and sticks is considered to kill work culture. However, dominant styles are still exercised and even recommended in some cases. So here’s the list of 7 most commonly used management styles in 2019: 2 of them are the dominant ones, while 5 others are prestige. I’ll rely heavily on David Goleman landmark classification of management styles, as well as on some other expert’s opinions. We won’t discuss laissez-faire or neurotic management styles, but will rather focus on what can work. Key features. “Do what I say”. That’s a message you give to your hires using this approach. This is one of the harshest and most direct management styles. Not only coercive leaders state an overall goal, they also define means to reach it, according to David Goleman classification. Employees have no choice but to snap a salute like Dwight Schrute on this Gif. Coercive style represents a traditional top-down management model still widely used all over the world. It aligns with many similar approaches, such as authoritative, autocratic and structural. All of them have a common feature – the power is exercised strongly. It seems like a really old-school approach and needs to be used wisely. Key features. Expect the high level of performance. Never tolerate mediocrity. Always win a meeting. These concepts were featured in 1977 No-Nonsense Management book written by Richard S. Sloma, who actually coined the term. It’s a harsh, practical and down-to-earth approach that echoes the coercive style. In his book, Richard S. Sloma tells a story about Henry Kissinger, the former US Secretary of State and National Security Adviser. Once he asked his aide for a report – a man wrote it. “Is this the best plan you can devise?”, Kissinger asked. After receiving the negative answer, he refused to read it. This happened a few times. The employee spent more than a month sleeping in his own office working on the document. 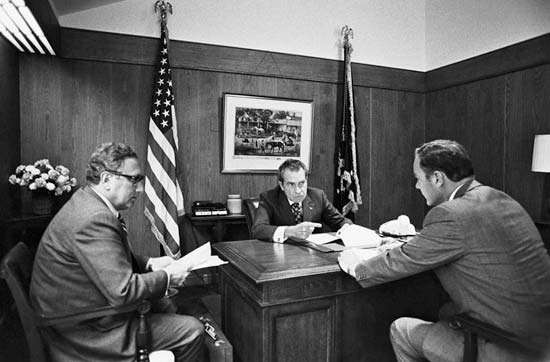 Kissinger read it only when his aide was sure he’d done a perfect job. The no-nonsense style is a salute from a corporate culture of Reagan-era. But funny thing – it bounces back nowadays. As market competition spins off, businesses do their best to perfect their products. So many current leaders are claimed to use the no-nonsense approach. In autumn 2012, Panasonic got a new president Kazuhiro Tsuga. NY Times described his management style as “no-nonsense”. The thing is Mr. Tsuga made some tough decisions. He cut manager’s bonuses, killed off weak units and beat a company’s path away from consumer electronics. However, due to his policies, Panasonic managed to face intense competition with a bloated business portfolio and weakened finances. 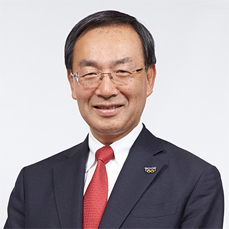 As of July 2018, Kazuhiro Tsuga remains Panasonic’s CEO. Key features: Give the workers voice in decisions, then benefit from their refreshing ideas. For this, at meetings and in private talks, facilitate the freedom of speech with no judgment. Any of your hires can be cheered like Terrence Howard’s character in the Empire TV series. The democratic style received quite a spin-off within the bottom-up management model. Reportedly, companies like The New York Times, Ernst & Young and IBM are implementing it throughout their hierarchy. Some experts claim it’s particularly important to listen to Millenials at workplaces, as their thinking is right in so many ways and “kids table” is not enough for them. Key feature. Personal development is crucial. Immediate work-related tasks can wait. This is the classical description of this style provided by David Goleman. Since coaching is exercised by a good leader, according to Franklin Covey experts, any manager needs to apply this style at some point. Like the democratic approach, listed before, the coaching style is especially beneficial when managing Millennials. First, they crave for instant recognition and gratification, which can be easily performed in coaching sessions. Second, since a clear purpose is very important for Millennials, they’ve got to align their goals with your company’s vision. Once again, coaching is a great tool for this. Key features. If to wrap it up in one phrase, that would be “People come first”. You praise employees for what they’ve done right and treat them like your family members or friends. This style is called “participative” by some experts. You practice the “Friendship Factor” with your hires, which is made up of three components: time, care, and respect. Sometimes you express care and concern for them and their problems. This fosters a feeling of bonding and their belonging to the organization. Key features: Be useful and helpful as a manager. Serve! First – to a higher purpose, second – to your employees. The term was coined by Robert K. Greenleaf who summed up his views in his 1977 essay. As the approach obviously challenges the traditional top-down management model, it often seems unusual. Although, it has gained quite a spin-off lately. The famous entrepreneur Gary Vaynerchuk claims to use it suggesting that “managers should be actually working for their employees”. Sameer Dholakia, one of the most highly rated CEOs in tech serves his employees too. 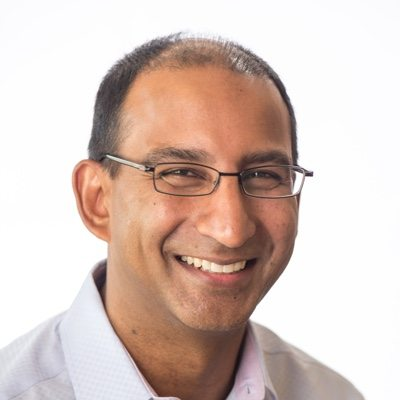 Sameer Dholakia brought his servant-leadership style to SendGrid company when he joined it in 2014. Upon his arrival, the startup’s growth was slowing. But over the next three years, he reversed this tendency. For two years in a row sales grew nearly 40%. Now the company’s revenue is on track to reach $100 million. According to Dholakia, it was exactly the servant management style that facilitated his company’s success. Key features: No wonder one of the most famous online rating services of companies is called Glass door. The sense of fairness and trust is one of the leading motivating factors of knowledge workers, as experts suggest. Therefore, transparent leadership is not just an option, but a critical factor in your company’s success. There are hundreds of management style models. From dominant to hands-off approaches – they provide great means to deal with particular cases. Although, in modern work culture prestige styles tend to work better. Exercise your power strongly in a crisis situation or when a business is adrift. But beware of decreasing motivation of your employees and your work climate worsening. Set high expectations and exercise tough love, but do your best not to demotivate your hires with your excellent standards. Give freedom of voice to your workers and include them in the process of decision making. But beware of endless meetings and your hires feeling leaderless. Support and assist your hires in achieving their goals, but make sure they are motivated enough to follow your vision. 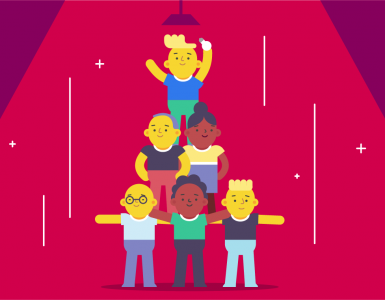 Build harmony and trust within your team by praising and supporting your workers. But don’t allow poor performance to go uncorrected. Serve to the higher goal and to your employees. But beware of your team running the show or creating a vision that is counter to yours. Make yourself available to your workers, but be sure to maintain your business integrity. 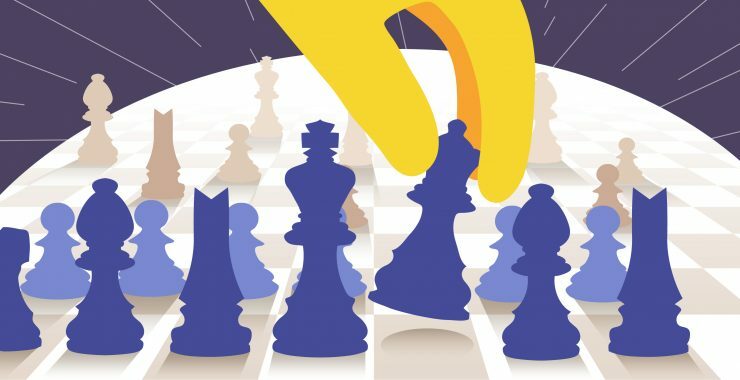 Experts claim the best strategy is to switch between different management styles depending on the situation. Whatever your case is, if your team collaboration is effective, it’ll be easier for you to communicate with your hires. Chanty – a simple AI-powered team chat – can easily help you become a better manager, whatever style you decide to go for. Subscribe to learn more and join our community of early adopters.